St. Charles, IL – January 10, 2015- Kinvarra Farm is a family owned and managed business that has been in existence for 30 years. Their business philosophy can be summed up in three words, Safety, System and Straightforward. The entire Sassmannshausen family takes pride in the business; each member taking on their own intricate role. The team includes Janet and Rick Sassmannshausen, sons Eric, Ryan, Kevin and Matt and newly added assistant trainer Hanley Morrison. The family brings a unique mix of talent to the business. Eric, the eldest son, earned a business degree from University of Miami with finance and management experience. Ryan devoted 3 1/2 years as an intern with top equitation trainer Missy Clark learning about managing, teaching, training and showing at the highest levels before returning home to apply the vast knowledge he gained to help run the business. Kevin has attained a great amount of experience working with horse show management and footing companies throughout the entire U.S.. Such premiere horse shows include local midwest facility “Lamplight Equestrian” and as far east as “Washington International Horse Show” through these experiences he has learned the ropes of facility management. The youngest son Matt, following in the foot steps of his brother Ryan is currently working with top east coast trainer Missy Clark, getting a hands on education. What’s so special about Kinvarra Farm? 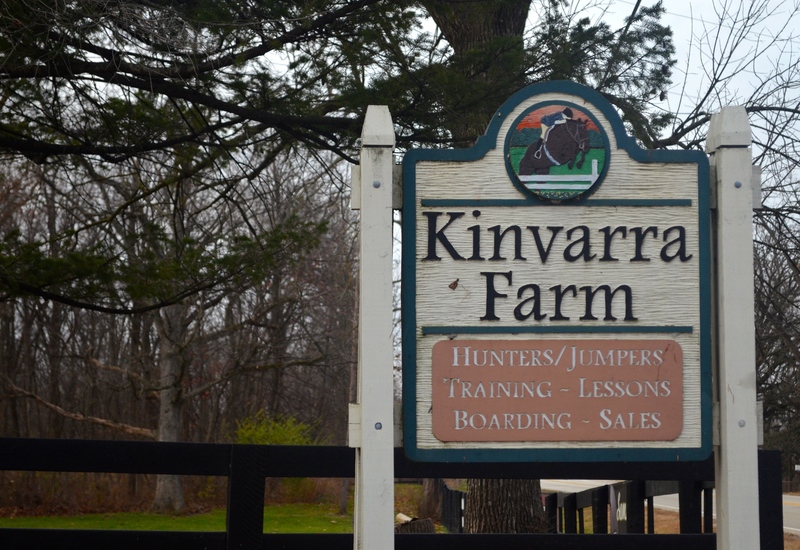 Kinvarra Farm offers a conscious, organized system, with educated staff to turn your goals into a reality, while providing you and your horse with a facility you deserve. “The atmosphere is country club-like: high end, family oriented yet disciplined. The goal is to help everyone achieve the goals they desire whether it’s going to the medal finals or riding on the weekends,” said Ryan. 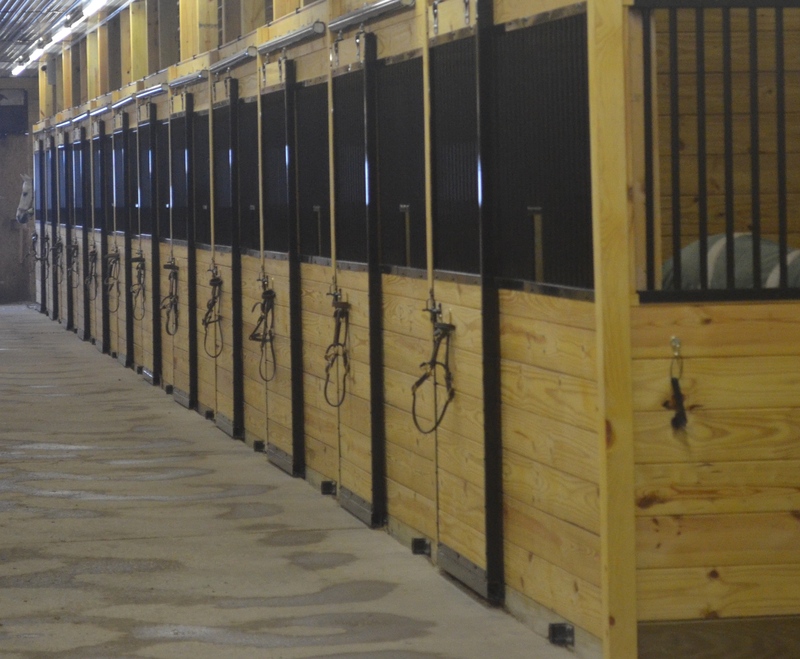 Newly remodeled stalls provide safety for horses. The number one priority is safety for the horses and riders. The barn was recently renovated and the stall renovation is a testament to good vision, an understanding of horses' needs, and great style. These renovations include safe and roomy stalls with top of the line automatic waterers, energy efficient lighting to provide a bright user friendly experience, new grooming stalls located out of the isle to allow for a much improved and safer work flow. The second part of the business is the system, which includes a training program that is meticulously followed. From the selected feed and supplements, to turnout schedules, lessons, rides and show schedules, the program is tailored for each level of horse and rider. Flatwork is key in the lesson program, Kinvarra believes that by achieving the correct rhythm, balance, and pace on the flat creates a better experience over fences “Jumping is merely flatting over obstacles”, adds Ryan. The emphasis is always on education of the rider and teaching with an organized set of basic principles. Utilizing a uniformed teaching style, the Kinvarra program allows riders at every level to comfortably move up the ranks starting from the very first time they put their foot in a stirrup all the way up to the Grand Prix level. Organized grooming stalls add to the safety of horses and the traffic flow in the barn. “We run the business with a series of goals,” said Eric. “We have team meetings to keep everyone on track towards the next goal." The Kinvarra team is very excited for there upcoming 2015 show season. They have major plans to travel to Tryon, Lake Placid, Brownland and Kentucky. Remodeled club room makes the farm pleasant for riders and spectators. Kinvarra continues to grow in many ways from expanding the farm and the training services to their system with horses and business details. 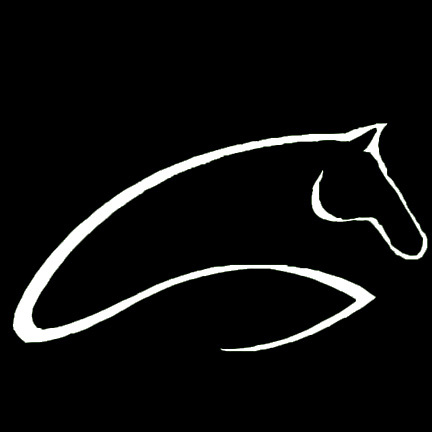 They are eager and ready to continue their growth and extend an invitation to new customers and horse shoppers to schedule a tour of their facility. 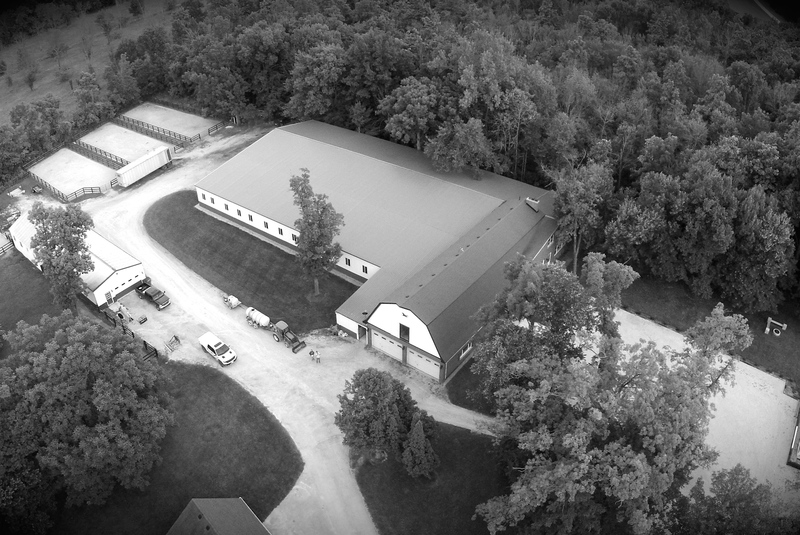 For more information or to schedule your tour of the new barn, please visit www.Kinvarrafarm.com or 847-525-0591.